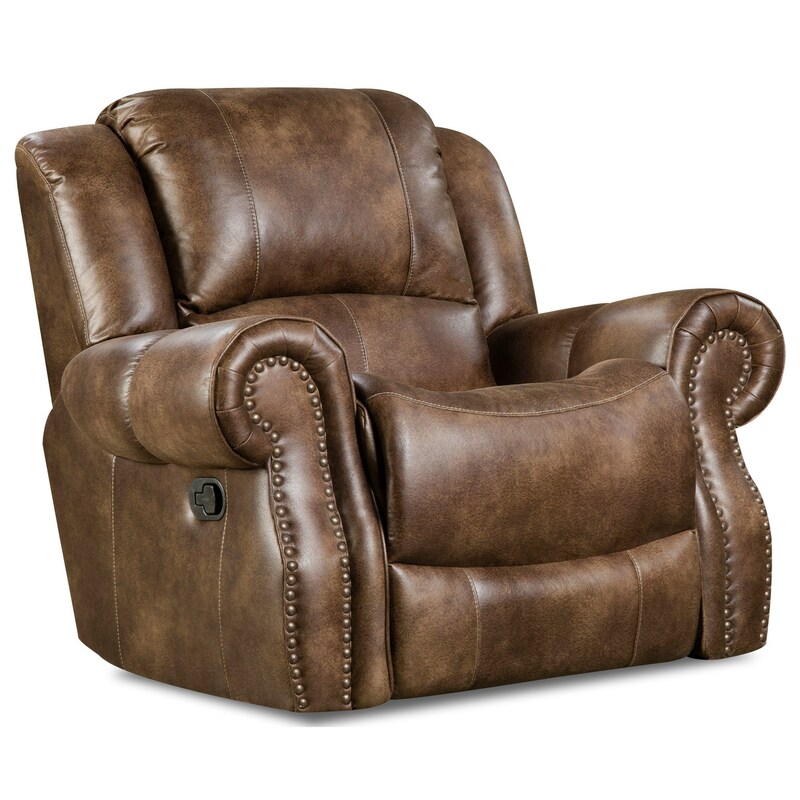 This recliner features a traditional style with nailhead trim accenting its arm faces. Rocker mechanisms allow you to rock or recline. Use this recliner as an accent piece, or with its matching collection. The 69901 Rocker Recliner by Corinthian at Miskelly Furniture in the Jackson, Pearl, Madison, Ridgeland, Flowood Mississippi area. Product availability may vary. Contact us for the most current availability on this product.